Jarrett Culver – Texas Tech. 12.9 PPG, 5.7 RPG, 1.9 APG. Keenan Evans and Zhaire Smith stole all the headlines at Texas Tech last season, but now it is Culver’s time to shine. While Evans was out injured last year, Culver put up an efficient 26 points and 12 rebounds at West Virginia. He’s an above average shooter (42 percent from three-point range in Big 12 play) who can create his own shot and get to the line often (ranking 10th in the Big 12 in free throw rate). The sophomore is also a good athlete and projects as a lottery pick next June, just like his former teammate Zhaire. Sedrick Barefield – Utah. 13.9 PPG, 3.0 RPG, 3.2 APG. Sedrick Barefield has always had great talent but he has also been known to disappear and/or defer — in particular, to dynamic 5’8” graduate transfer Justin Bibbins last year. But the senior tends to get up for the big moments, and his two best games last year were 23- and 27-point performances against loaded Arizona. He also ended the season as an integral part of the Utes’ NIT run, playing nearly every minute in wins over good LSU and Saint Mary’s teams. Now, with every other starter having departed Salt Lake City, the combo guard will finally have the keys to Larry Krystowiak’s top-60 offense. 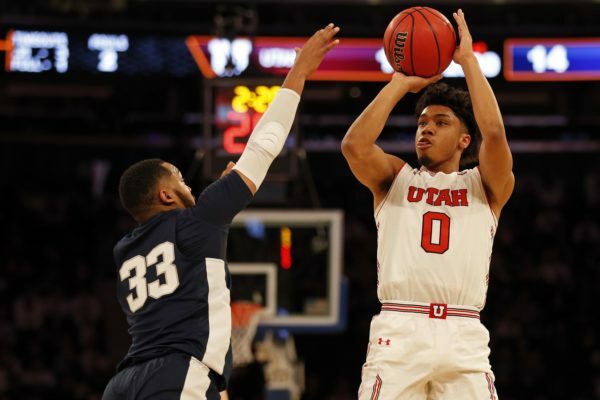 If he can keep his positive momentum going and become a little more consistent, he’ll be an All-Pac player, more than capable of leading the Utes back to the NCAA Tournament. Kipper Nichols – Illinois. 16.3 PPG, 6.9 RPG, 1.5 APG. After a freshman year when he only played 20 percent of the available time for the Illini, Nichols started last season coming off the bench for new coach Brad Underwood. But he was one of the few players to completely buy into Underwood’s system, and therefore he became progressively more important to the club — ending the year with a 31-point outburst against Iowa. It feels like a while ago, but Underwood is only a couple years removed from leading the most efficient offense in the country at Oklahoma State, which was built on elite shooting and offensive rebounding. It’s convenient for him to have Nichols, who excels in both areas (7.9% offensive rebounding rate; 38% three-point shooter). If the Illini click offensively this year, then a scoring average of 16 PPG could be conservative for Nichols. 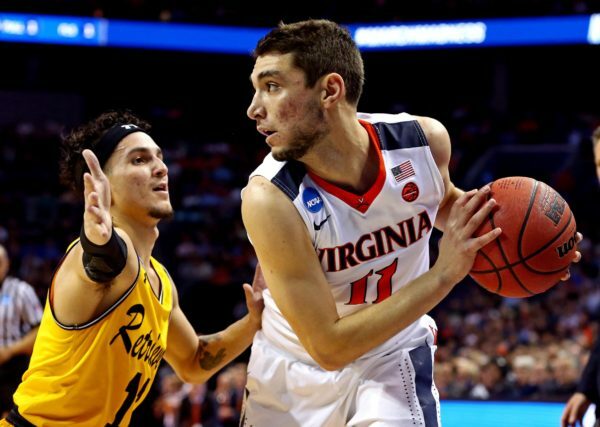 Other notable breakout candidates: Sam Hauser– Marquette, Jordan Ford – Saint Mary’s, Temple Gibbs – Notre Dame, Quentin Goodin – Xavier, Jaylen Fisher – TCU. This entry was posted on Wednesday, October 31st, 2018 at 2:45 pm by Will Ezekowitz	and is filed under 2018-19 Season Preview, feature. Tagged: illinois, jarrett culver, Kipper Nichols, sagaba konate, Sedrick Barefield, texas tech, ty jerome, utah, Virginia Cavaliers, west virginia. You can follow any responses to this entry through the RSS 2.0 feed. You can leave a response, or trackback from your own site.